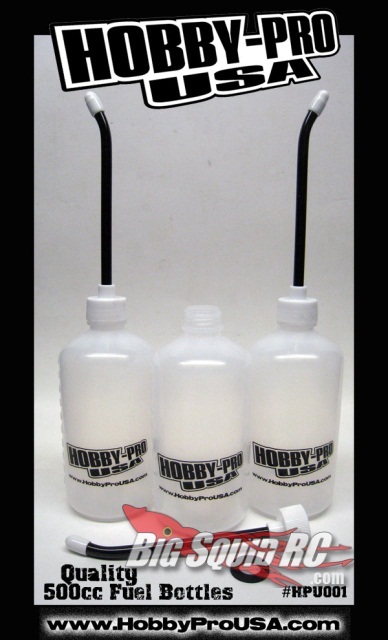 Hobby Pro USA Fuel Bottles « Big Squid RC – RC Car and Truck News, Reviews, Videos, and More! Hobby Pro USA are set to keep the nitro guys happy with their new 500CC fuel bottles. They’re just the right softness to be practical in all situations, and at a penny under $6 you can’t complain about value for money! Head over to the Hobby Pro website to get your hands on one.